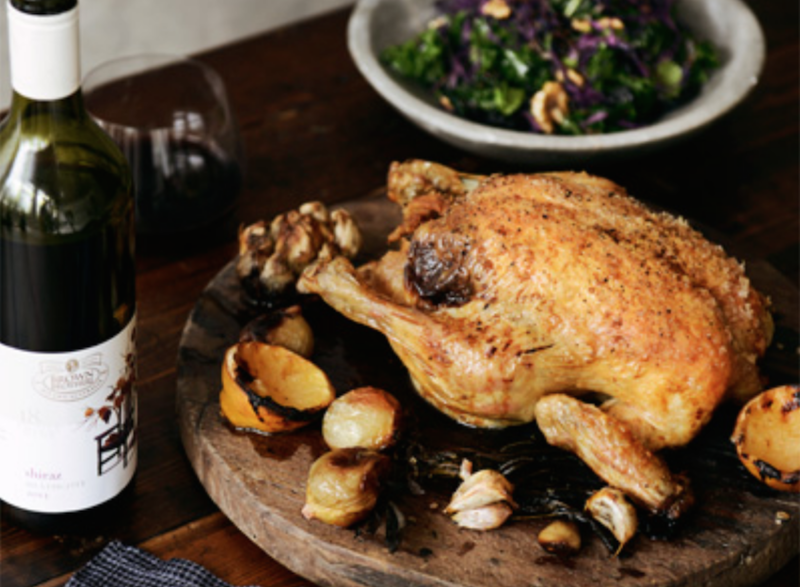 Baker and Creator Cassy Morris of Fig & Salt has shared her recipe for this delicious roast chicken with us. It’s just perfect for a cosy night in. To see more of her delicious food follow @figandsalt on Instagram. Preheat normal oven 200 deg C. Place the chicken in a large roasting pan. Use a small, sharp knife and your fingers to loosen the skin of the chicken from the breasts and thighs. In a bowl, combine the butter and garlic. Slip butter mixture between the skin and flesh, spreading it evenly. Rub the skin with oil, then season the skin and cavity with salt and pepper to taste. Stuff the chicken with the whole lemon, sage and onion quarters. Tie legs together with twine. Drizzle with olive oil. Place in the oven and cook for 20 minutes, then reduce to 180 deg C and roast for one hour, or until the juices run clear.